A powerful non-caustic, non-toxic cleaner, which effectively cuts through grease and grime on your cooking surfaces, including steel, chrome and powder coated surfaces. Developed with the whole family in mind, this complete cleaning range uses naturally derived ingredients to clean the house safely and with peace of mind. Combining the power of organic extracts, citrus fruits and antibacterial essential oils, Organic clean is non- toxic, greywater and septic safe. Many fragrances and perfumes in mainstream supermarket cleaning products may cause skin sensitivities and have been also known to cause allergy responses in some individuals. The Organic Clean range of products contain no Perfume or Fragrance, using essential oils for aroma and cleaning benefits that leave your home or workplace smelling fresh, clean and of course, chemical free! Using chemical free products not only makes your home a clean & safe place to be but also allows for a clean, safe outdoor environment. Supermarket cleaning products leave a foamy, bubbly residue when used which are generally washed down our drain pipes when cleaning has finished. These harmful surfactants and foam residue are treated along with sewage and other waste water at treatment plants, then discharged into nearby waterways. During this process most of the ingredients in chemical cleaners break down into harmless substances during treatment or soon afterward, others, however, do not, threatening water quality or fish and other wildlife. 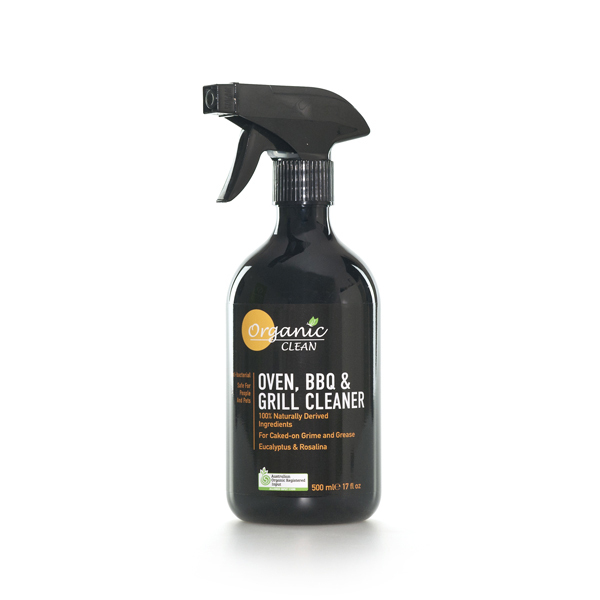 Organic Clean is an affordable range which has been independently organic approved under an Allowed Input for ACO, Vegan Accredited and Choose Cruelty Free Certified.